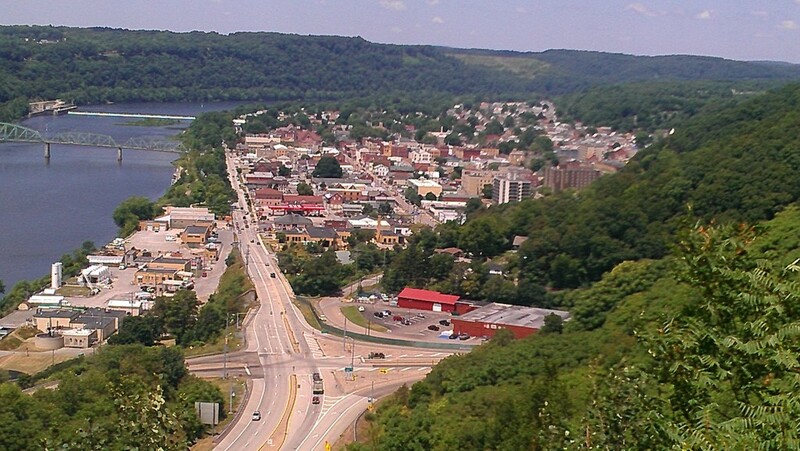 Being tucked in the valley, there are a lot of great advantages to view Kittanning from above. The most common place viewed and photographed is from West Kittanning looking at the bridge towards the courthouse. I stopped to visit Howard at Howard’s Gold in Kittanning. He was kind enough to share with me an unusual photo of Kittanning. This photo was taken south of Kittanning above an area called Edgewood. Edgewood was a little village we now refer to as Edgewood Intersection, at the bottom of Indiana Pike on Route 422/66. 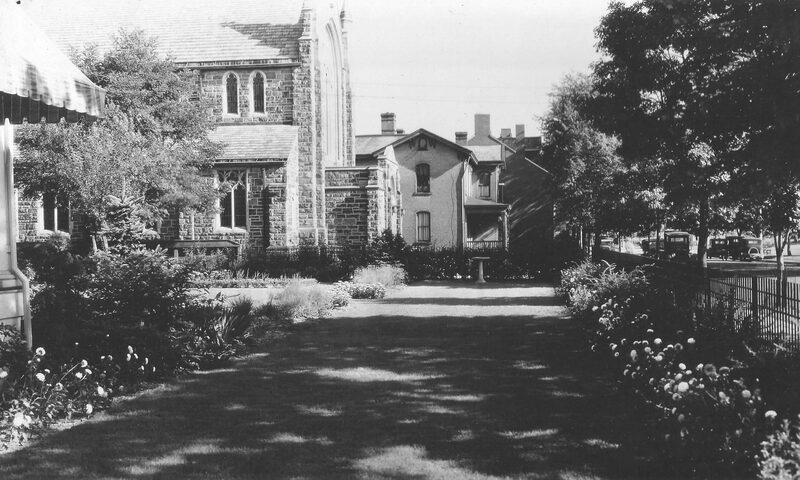 The older photo is at least prior to 1926 and more than likely 1900. 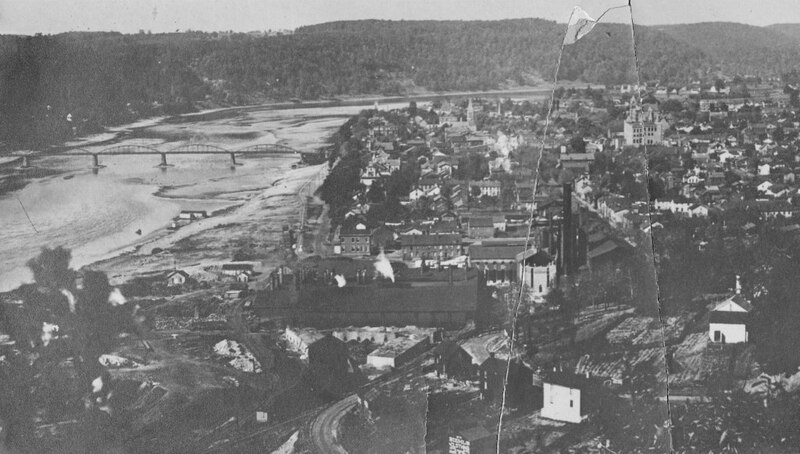 Shown in the foreground is the Kittanning Steel works which was dismantled in 1926. This factory sat nearly in the same location as PennDot maintenance building on S. Water St. The Steel plant extended across what would become S. Water Street extension also, as the tram track can be seen traveling north and which the debris dumped helped form the area of the Riverfront Park. S. Water Street bridge that we currently use to access 422 isn’t built yet. Then to leave Kittanning, you drove south on Jefferson St. and traveled a road that can faintly be seen behind Kings Lanes today. Today’s Ace Hardware would set near the barn with the Biehl’s Advertisement on the back of it. The road in front of those houses still exist and is the back way into Typewriter Hill. These views are close to were the school district plan to build the new high school.